After putting out my usual weekly preview of the event yesterday I will not go into the same detail in this. Instead for all information on the course, recent trends and who I like from a betting perspective, check out my Open Championship preview here. Driving Accuracy – Keeping the ball in the fairway is going to be key to success here, but also avoiding the horrendous fairway bunkers is a must. The ball cannot be advanced far from these hazards, so your tee shots must not only find the fairway but also avoid these, which requires precision. If you are going to miss the fairway, which 2008 winner Padraig Harrington did at times throughout the week (37th in Driving Accuracy) you need to make sure it is not too far into the rough. Greg Norman also contended here in 2008 ranking a lowly 76th in Driving Accuracy but the rest of the top-5 did pretty well in regards to hitting the fairway. Ian Poulter, Henrik Stenson, Jim Furyk and Chris Wood all finishing inside the top-32 for Driving Accuracy with the average ranking of these four being 18.75. Scrambling – Greens are going to be missed here, it wouldn’t be a links test without it, but it is how you deal with the situation when faced which is important. Harrington won here without hitting a tonne of greens, ranking 30th in Greens in Regulation but scrambled well ranking 13th. In addition to Harrington; Stenson, Norman and Wood all ranked inside the top-10 in Scrambling which suggests a strong indicator given their finishing positions. Links Experience – I cannot stress how strongly I feel about links experience. If you have not seen this sort of golf course before you are going to struggle and contending on such a course in the past is a big tick in the positives column. If you haven’t played in an Open Championship before, starts at the Alfred Dunhill Links Championship, Irish Open and Scottish Open are all welcome substitutes. Do not rule out Americans on this basis though. Just because links golf isn’t on the PGA Tour schedule does not mean that these guys have not got to grips with the style over the years. Recent Open Championship winners Phil Mickelson and Zach Johnson struggled for years in this event but have since got used to the test and now both excel. Mickelson has a win, two 2nd’s and a 3rd since 2004, whilst Johnson has a win and four top-16’s in his last six starts. To emphasise the theory, Americans have accounted 43 wins in this event, more than any other nationality and since 1995, they have combined for 13 wins! Experienced Players and a Good Temperament – Not only does having links experience count for a lot, but being a player who’s been around for a number of years tends to help in this event. Of the last five winners, only Rory McIlroy (25) was younger than 39 the year he won. Even with Rory winning at a young age, the average age of the last five winners is 37.8! Whether this is just a case of links golf takes a while to adjust to, or whether it is down to mentality there is no clear answer. With age often comes a better temperament and that can definitely help in this sort of test. Constant wind and rain will get to you throughout the week and the odd unfair bounce from an uneven fairway can often frustrate, so remaining level-headed is a big part to being successful in this event. Major Experience – Of the last five winners, four (McIlroy, Ernie Els, Mickelson and Johnson) have already won other majors, whilst Stenson had already contended at other majors including a previous Open. Louis Oosthuizen was an exception to this rule in 2010, when he won at St. Andrews with 7 missed cuts in his first 8 major appearances before playing here. The only time he had made the weekend in a major before winning the Claret Jug was the 2008 PGA Championship where he finished 73rd. Ben Curtis won the Open on his very first major start, but he was the first to do so since 1913, something Keegan Bradley also went on to achieve at the 2011 PGA Championship. Generally speaking though the experienced pro’s, especially those with Open experience, tend to prosper here. With all this in mind, here are my favourite picks in each of the key price points on DraftKings this week. There is one area for concern with regards to Sergio this week and that is his recent 4-week lay-off, but apart from that it is hard to find negatives this week. The Spaniard has ten top-10’s in this event including runner-up finishes in 2007 and 2014 and has not finished outside the top-6 in his last three open starts. He has played Birkdale twice, finishing T29 as an amateur in 1998 and T51 on his return in 2008. Although he is coming into this event with no starts since the BMW International Open, he did finish 2nd there and the start before that was his 21st place finish at the U.S. Open, so when he has been playing he has played well. If there was any worry his form would drop off after the Masters it hasn’t, with results reading 30-20-12-21-2 since then, even with the added attention the Green Jacket brings each week. The win at the Masters was his second of the season after winning in Dubai and he is playing the best golf of his illustrious career in 2017. Getting the monkey off his back at Augusta was huge and many expect he will go on and win multiple majors now, even as he approaches the twilight of his career. At 37 he has got at least another 10 years at the top, barring injury problems and he is currently the perfect age for an Open Championship winner based on the average age of the last five. AHideki finished T6 on his Open Championship debut in 2013 at Muirfield, which correlates nicely with Birkdale. He followed up his performance at Muirfield with a T39 at Hoylake in 2014 and a T18 at St.Andrews in 2015, before missing his first Open cut at Royal Troon last year. After suffering a slump following his Phoenix Open win (MC-T25-T45-T51 on his next four starts), he managed to turn it around at the Masters finishing T11 and has kicked on again since. His results since Augusta read T22-T45-T2-T14, with the T2 coming at the U.S. Open and the T14 coming at the Irish Open two weeks ago. I thought it was very wise for Matsuyama to play in Ireland, as he again opted to sit out the Scottish Open and it was good to see him play well. At $9,500 you are getting an elite player who has already won twice this season, for what I believe to be a discounted price. Hideki has proved almost every season since turning professional in 2013, that he is a huge factor in the majors. He has posted a top-5 in at least one major each year except 2014. T11 and T2 in this year’s majors already suggest he is trending in the right direction for a win here this week. Of course he is going to be highly owned, in fact it would surprise me if he wasn’t the highest owned player of the week, and that’s because his price is just wrong. Fowler is now deservedly the joint favourite in the betting but just the 11th most expensive option on DraftKings. Rickie is my favourite for the Open this week and I really do believe his time has come. He has had three bad tournaments this year, missing two cuts and finishing way down the leaderboard (T60) at The Players, but apart from that his season has been outstanding. Even at The Players it was just a disastrous final-round 79 which saw him tumble down the leaderboard. Since the start of 2017, Fowler has a win, a further four top-5’s and three more top-12’s. He has posted three of those top-5’s in his last five events, finishing T2 at the Memorial, T3 at the Quicken Loans and T5 at the U.S. Open. Fowler has finished T11 and T5 in the first two majors of the season and now is his time to get his hands on his first major trophy. Ever since finishing T14 on his Open debut, Fowler has looked to be a factor in this event for years to come and his results since read T5-T31-MC-T2-T30-T46 so he has been fairly solid. The way Rickie is playing this season I see nothing but a good week for the World No.10. Adam Scott is going to be highly owned this week but for very good reason. The 2012 runner-up has five top-10’s at the Open Championship, four of which have come in the last five years. He finished T16 here in 2008 and I can see him improving greatly on that this week. Scott has been outside the top-10 in the world since finishing T31 at the Memorial four starts ago and will no doubt be keen to put that right this week. He was in good form heading into the Masters where he finished T9 and followed that up with a T6 at the Players, so he has put in some pleasing performances this season. A missed cut at the U.S. Open has clearly lowered his price but he is still far too cheap to pass up on. One bad round (78 in round three) cost him a chance of placing last week at the Scottish Open but he played better than his T35 suggests. With two rounds in the 60’s to start and end the week in Scotland, chances are he’s in for another big week in this event. Alternative: Phil Mickelson ($8,700) – Only real concerns are: 1) First major championship without Bones and 2) Decision to skip Scottish Open. Either way he will still have to be respected due to his 2013 win and his excellent performance when runner-up last year. Another one of my outright selections, it is the man of the hour, Alex Noren. Everyone knows how well the Swede has played over the last two years (6 wins) and he is also a fine links exponent. Noren has a win and a 3rd place finish at Castle Stuart Golf Links (2012 and 2016 Scottish Open) as well as 3rd, 11th, 17th and 21st placed finishes at the Alfred Dunhill Links. On top of his performances in Scotland, Noren also has previous in two Open Championships. He finished T19 here at Birkdale in 2008 but was actually sitting in a tie for 5th heading into the final round. A final-round 77 meant he fell down the leaderboard and out of contention but given the fact that all 9 of his European Tour victories have come since then, I think we can expect him to fare much better should he find himself in a similar position this week. A T9 finish just down the road at Royal Lytham in 2012 further cements his Open Championship credentials and now is the time for Noren to step up, in the event he watched his countryman win last year. Despite improved performances in America this season (T10 at The Players and T5 at the Match Play), Noren is definitely more comfortable and suited to golf in Europe. If he is going to win a major to cap off a remarkable run of good form, the Open Championship presents him with the best chance to do so. Runner-up here in 2008 behind Harrington, Poulter will be desperate to go one better this week. The Englishman has had several good finishes in major championships with a finish of T12 or better in all four championships. His 2nd here in 2008 was followed up by a T9 finish down the road at Royal Lytham and a T3 finish at Muirfield a year later. Since then he has not had much success, missing his next two cuts before missing 2016 altogether. The way he has been playing this season though, making 15/17 cuts across both Tours, with big finishes on both suggest he’s in for another good week here at Birkdale. Last week he just run out of gas, with a final round 74 seeing him drop into a share of 9th place. This was his second best finish of the season, following his stellar effort at the Players Championship (T2). Zach Johnson has a fine Open record in recent years, after taking a while to adapt to this particular major. In the last six years, Johnson has a win, two more top-10’s and a further two top-16’s. It has been a bit of a down year for the two-time major champion, but it is important to remember he is just that. A two-time major champion, who’s most recent major win came in this event in 2015 should be respected. We have often seen Johnson pick up his game after a spell of bad form, and after some encouraging signs in recent weeks I think he can go well once again in this championship. Johnson opts to play in his favourite event, the John Deere Classic the week before the Open and whilst it is becoming more and more vital to have played at the Scottish Open in the build up, this game-plan did Zach no harm in 2015. Birkdale is perhaps a better fit for him than St.Andrews and given his recent efforts in this event, I expect him to greatly improve on that T51 he posted in 2008. He finished T5 at the John Deere last week, despite his putter letting him down on the back-9 on Sunday and if he can just heat up on and around the greens, he could find himself in contention for a second Open win. Andy Sullivan made his Open Championship debut last year and finished a respectable T12 further proving what he has done so in the past, that he is comfortable on links layouts. After struggling early on in 2017, Sullivan has made a strong return to form over the last month. A T8 at the Nordea five starts ago is still his best finish of the season but consistency has crept in recently, with three straight top-20’s at the Open De France (T13), Irish Open (T20) and last week at the Scottish Open (T9). Sullivan’s T9 in the Scottish Open was his second consecutive top-10 in the event, after finishing T6 there last season and hopefully he can repeat and even improve on his first Open appearance last season. Alternatives: Marc Leishman ($7,800) – Has every chance in an event he almost won two years ago and finished 5th at a year before. The now two-time PGA Tour winner looks ready to join the elites of the game and get his hands on his first major. Padraig Harrington ($7,200) – Course winner in 2008 who looked in great shape to win last week, eventually settling for a T4 finish. The tougher the weather gets, the better his chances. Steve Stricker who has been balancing his schedule between the PGA and Champions Tour is having a quietly good season, and posted a 5th place finish at one of his favourite stops, the John Deere Classic last week. This was expected of Stricker heading into the week, but maybe not so much after opening with a 73 in round one. Stricker then went on to torch TPC Deere Run, getting better round after round (67-65-64), to climb the leaderboard rapidly. In the majors this season, Stricker has finished in a tie for 16th at both the Masters and the U.S. Open but I think he can go better than that this week and find himself inside the top-10. Last year, Stricker posted his best ever finish in the Open Championship (4th) and whilst that was well off the pace of both Henrik Stenson and Phil Mickelson, it was a good effort nonetheless. In addition to these other positives, Stricker has played Birkdale on two occasions, finishing T52 in 1998 before greatly improving 10 years later, finishing inside the top-10 (T7). Stricker’s Open results since 2007 read T8-T7-T52-T55-T12-T23-4. He skipped the event from 2013-2015 but after a successful return to the event last year I can see a repeat performance this time around. Ryan Fox is playing very solid golf, posting his best European Tour finish to date at the Open de France, only to better that the last two weeks with T4 finishes at both the Irish and Scottish Open’s. On top of Fox’s recent good form on links courses, he did in fact play in his first Open Championship at St. Andrews in 2015. He finished a respectable T49, where he managed to shoot three rounds of par or better, including a final round 67. A third round 76 halted any chances of a top-20 or better but it is promising all the same that he played so well for best part of the week. There is nothing to suggest he can’t put together another strong week this week, given the strength of fields he has recently contended in, during the last month. The occasion is of course bigger but if he can do his best to put that to the back of his mind and just play his natural game, this could be a huge week for him. At $6,600 you are getting one of the most in-form players in Europe over the last month and he is certainly worth slotting in as a viable bargain option in your lineups. There are intriguing options at the same price, including Jason Dufner and Brian Harman, but Fox just pips them both due to his ideal links preparation over the last two weeks. Andrew Dodt qualified for his first ever major this week, after finishing in a tie for 4th last week at the Scottish Open. He took the last available spot, with his world ranking the difference between him and Anthony Wall booking the last place. The T4 on Sunday took him to #154 in the World Rankings whilst Wall sits 30 places lower in 184th. This is a bit of a flyer given Dodt has struggled on links courses in the past but in a season where the Australian’s talents seem to be shining through again, I think he’s worth chancing. In Dodt’s last five starts he has two top-6’s, a top-20, a T65 and a missed cut. The T65 and the missed cut came after he was bang in contention at the BMW PGA Championship at Wentworth. Dodt hit the front at the end of round three, holding a one-shot lead over Branden Grace going into the final round. It was a particularly windy day at Wentworth during that third round, and he carded just the one bogey, shooting 68. Following blips in Sweden and France, Dodt has returned to form in the last two weeks, first finishing T20 at the Irish Open before again getting in contention at the Scottish Open. Both are these performances are particularly pleasing as both were on links courses, and after playing so well in the wind at Wentworth it looks as though Dodt could cope with some strong conditions this week. At both the BMW PGA and the Scottish Open, Dodt shot 73’s on the final day when in contention but there are plenty of positive signs. It is hard to tell how he will do on his first ever major start but hopefully the 31-year old will make the most of this chance and keep the good form rolling into Birkdale this week. He is a two-time winner on the European Tour, albeit two events which were co-sanctioned by the Asian Tour, so it is time he made the step up and contended on a bigger stage. Alternatives: Soren Kjeldsen ($6,900) – The Dane has finally started to find form after struggling in America and has importantly played well over the last two weeks on links courses. After opening 68-68 in Ireland he went backwards over the weekend (72-75) but he played nicely again in Scotland to finish T9 at the Scottish Open. He also posted his first top-10 in this event last year, finishing T9. 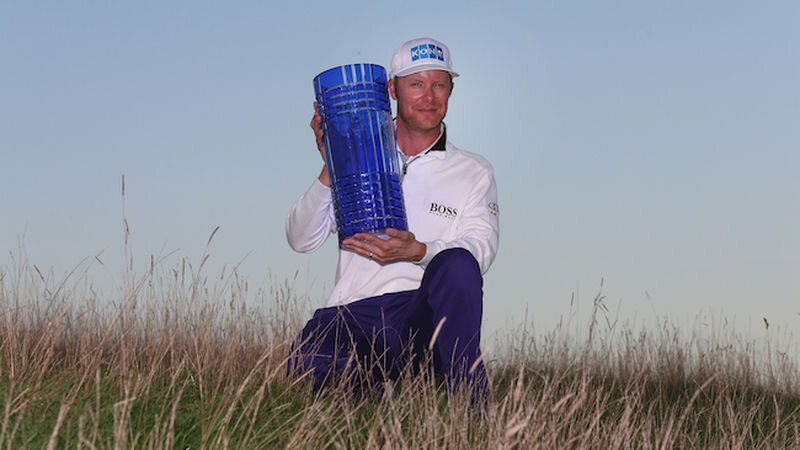 Brandt Snedeker ($6,800) – Snedeker nearly always brings his A-game to major championships, no more so than when this event was held at the nearby Royal Lytham, where he finished T3. He has posted T11 and T22 finishes since and has finished T27 (Masters) and T9 (U.S. Open) in the first two majors of 2017.